New technologies to stop the production of counterfeit and fraudulent food products have a dairy manufacturer keeping tabs on its milk products from the farm to the grocer to the consumer. Through every stage of manufacturing and every ingredient in every product sold in every market, New Zealand-based dairy giant Fonterra is striving for what it calls "world-class electronic traceability" says Tim Kirk, general manager who oversees Fonterra's "trust-in-source" initiative. That's 2,000 food items produced at Fonterra’s 140 plants at 50 sites in nine countries, in seven languages. Or, in terms of liters of milk, that 22 billion liters of milk from 10,500 farmers and operating 34 sites in NZ alone. The scale of the job has been, well, udderly huge. Kirk says Fonterra has always been able to trace products from day one, but through systems using a mix of electronic information as well as manual logs and spreadsheets. But the new technology shows consumers where and when the product was manufactured, its expiry date was and whether it was authentic, he says. The goal is to "enhance traceability models and introduce new technologies to stop the production of counterfeit and fraudulent food products," Kirk says. The technology allows consumers to scan cans at any stage after purchase to retrieve up-to-date status information about the product. As an example, Kirk cites the company's use of tamper-evident seals on the packaging of its infant formula products. 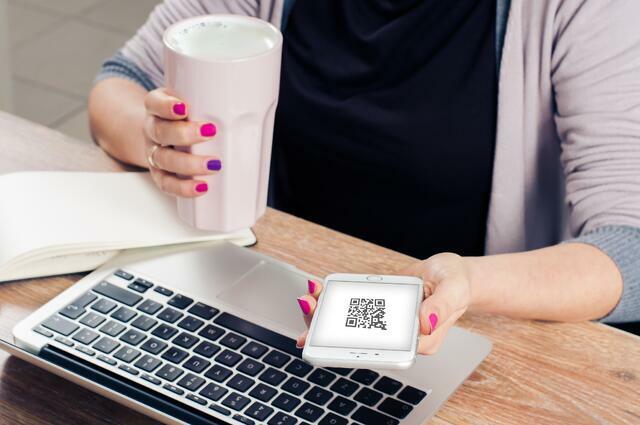 Quick read (QR) codes are initially on the cans of the dairy co-operative's infant formula brand Anmum. Each can carries a unique QR code that when scanned using a mobile device, connects infant formula buyers to a webpage with information and a batch number verifying that it is authentic. Kirk adds that the technology, currently available to consumers in New Zealand and Indonesia, will be available to overseas customers by the end of the year. Fonterra says the technology, currently available to consumers in New Zealand and Indonesia, will be available to overseas customers by the end of the year. Fonterra has adopted the GS1 global traceability standard that defines a minimum set of requirements in business processes to achieve full electronic supply chain traceability. BCC Research's newest report on food traceability predicts that growing consumer awareness has forced manufacturers to adopt food traceability technologies within their supply chain processes. As a crucial and inevitable tool in food disease control and prevention, food traceability is expected to race along at a 7.1% CAGR from 2016-2021, reaching $15.1 billion in the end year.